looks like you all had fun - I was able to see it from my back yard and will again in 7 years. What a fun road trip! I've never been to Paducah, it's on my bucket list though. That Solar Eclipse quilt is stunning in the online pictures, I bet it was gorgeous in person! Did you make it to Hancock's of Paducah? I shop their online store from time to time and sometimes day dream about shopping at their store! And why would you go anywhere else?! :) Sounds like you had a great trip, Paducah is on my wish list! What a great pin!! Sounds like you had a blast. Aw! Thanks for the love! 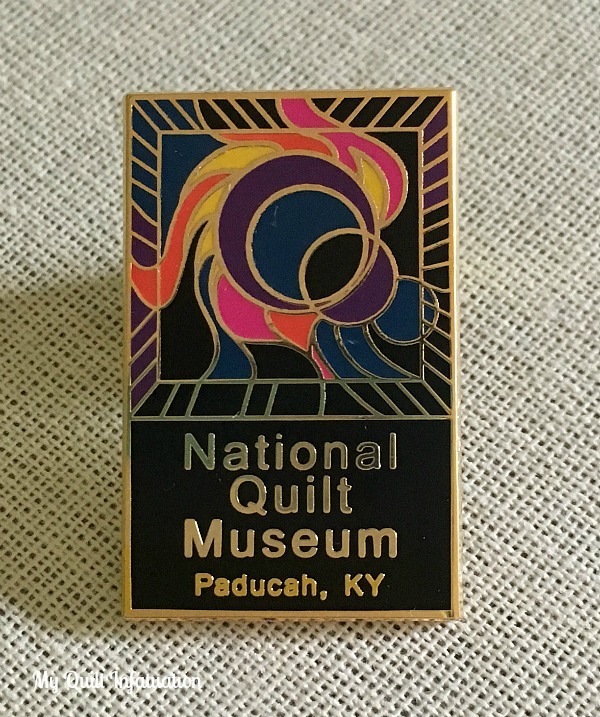 How cool, that you went to Paducah and saw Caryl's quilt too! The eclispe was amazing! Thanks for hosting! I am so glad you got to experience the eclipse. We drove quite a bit to see it too. It really was amazing! Thank You for hosting! Looks like it was a great adventure. We didn't see much of the eclipse here in Nova Scotia. Sounds like a great place for a road trip. Quilting and the eclipse, you paired those up really well. 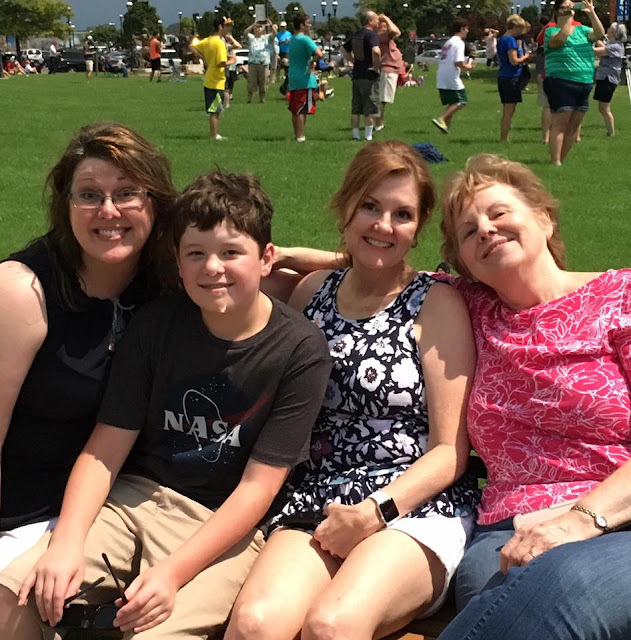 We were also in Paducah for the Eclipse visitng my cousin that lives there. Didn't go to the museum but did check out Hancock fabrics Monday after the eclipse. Quiet a few folks were there. We were surprised by the lack of traffic as well. However, some friends went home to Louisville Monday after supper and got caught in stand still traffic. The quilts at the museum are always truly fascinating.